Adding to the huge success of 2012’s line-up, REV’IT! is expanding their Urban Line with four brand new jackets tailored for the city rider who doesn’t want to sacrifice modern safety features for classic style and sophistication. Whether you’re riding a Vespa back and forth to the office, or ripping your cafe racer around town, you’ll be protected from both the elements as well as the asphalt - and look great doing it too! 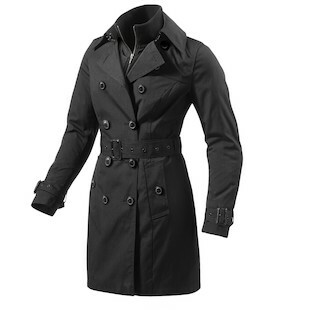 The outer shell of the REV’IT Opera Jacket is a peacoat-styled overcoat best suited for Fall, Winter, and early Spring. Comprised of a brand new cotton-polywool material, it’s also backed by a 100% waterproof Hydratex liner to keep you dry. The REVIT Opera Jacket is equipped with a removable thermal liner for colder temps in addition to CE-rated Knox Lite armor in the shoulders and elbows. As it’s name implies, you’d be anything but underdressed should you wear this jacket to a formal night at the Opera. Perfect for the urban commuter who rides in all weather conditions, the REV'IT Concorde Jacket is equipped with a waxed memory-cotton outer shell, a detachable hood, a removable thermal liner and REV’IT!’s venerable Hydratex waterproof liner. With multiple adjustment straps and drawcords, the REVIT! Concorde jacket can be tailored on the fly for both style and function. A myriad of pockets provide room for all of your essentials and CE-approved Knox Lite armor will protect your shoulders and elbows from potential impact. Coming in both Navy Blue and Black, you’ll have a hard choice as to which color of this ultimate city jacket you’ll be wearing this season! 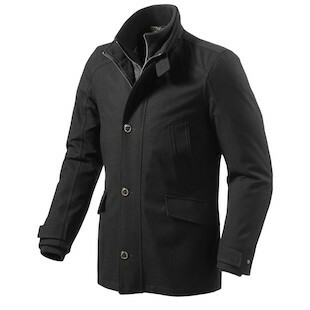 Rolling in on the coattails of last year’s best seller - the Melville Jacket, and all new for 2013 is the REV'IT Oxford Jacket. Just like its predecessor, the REV’IT! Oxford is a classic cut riding jacket worn by moto-riders since the style was introduced over 50 years ago. Unlike the vintage models you would see on Steve McQueen and Malcolm Smith, the Oxford Jacket is equipped with modern CE-rated Knox Lite shoulder and elbow armor. Similar to the Melville, the Oxford comes with a removable thermal liner. However, the biggest change between the two models is that the heavy cotton outer shell on the 2013 REVIT! Oxford no longer has a wax coating. It achieves its waterproofing through REV’IT!’s proprietary Hydratex G-liner system. If you’re a ton-up boy who wants to complete the look or just a rider looking for a modern twist on a tried-and-true motorcycle gear staple, the REV’IT! Oxford jacket is the way to go. Always at the forefront of creating top-notch Women’s riding gear, REV’IT! 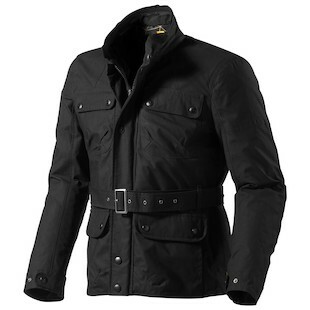 hits the mark yet again with their Women’s Camden Jacket. With a feminine cut that is both sophisticated and contemporary with a double-breasted waist belt closure and using a polycotton oxford outer shell, the REV'IT Camden Jacket also boasts a Hydratex liner for 100% waterproofing. 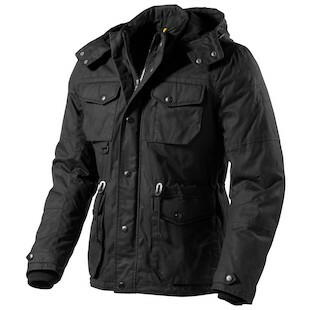 Not unlike the Men’s jackets from REV’IT!’s Urban Line, the Women’s Camden Jacket is also equipped with CE-Rated armor in the shoulders and elbows. A selectively placed reflection strip on the neck collar provides added safety when riding at night. Quite frankly, if Coco rode a motorcycle, the REVIT! Camden would undoubtedly be her favorite riding jacket, (I mean it only comes in Black, her favorite color...). For the fashion-forward female rider looking to compliment her gear closet, the REV’IT! Camden is an excellent choice.